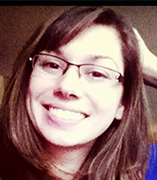 Renee is a part of the 2012 PhD cohort and an NSF fellow in the IGERT program in electronic security and privacy. Her research focuses on gendered experiences of privacy in online social spaces, and is particularly interested in YouTube as space for community. As a feminist researcher, her work acknowledges that, though early feminists once believed technology would empower women, technology has mostly served patriarchal goals of gender inequality. She has presented her work at the National Communication Association, the International Communication Association, the National Women’s Studies Association, Social Media and Society, and the Oxford Internet Institute Summer Doctoral Programme. Outside of research, Renee has a passion for teaching and looks forward to her days in front of a classroom.